There is a community campaign fighting to close the Atlanta City Detention Center and use the facility for alternative purposes. 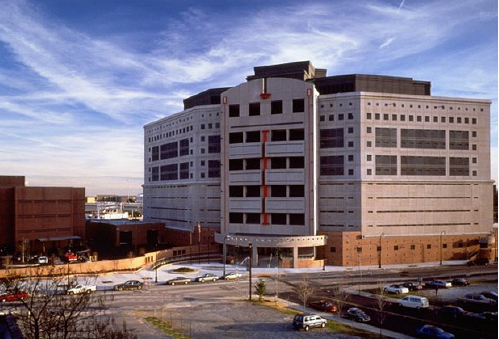 The jail costs $33 million/year to operate but because of recent progressive changes in sentencing policy and policing strategy, it is largely empty on most days. It can house over 1,300 incarcerated people. Working with the Racial Justice Action Center (RJAC) and Women on the Rise, Research|Action provided background and budget data on the jail to better understand its history and the economics of the facility. This included researching news articles and city budget documents going back to when it was built in the 1990s. We found that the city largely paid for the construction of the $55 million facility during fiscal years 1994-1996. It had also raised nearly $68 million for this project from a 1992 bond fund which was used to pay for the initial construction as well as ongoing capital improvements over time. The city then paid back the bond in subsequent years until 2017 when it was fully paid off. In 2011 there were discussions about selling the facility to Fulton County, but a deal never materialized. Research|Action also spoke at a recent Atlanta City Council hearing to provide this background data to inform the discussion. A recent article about the campaign is here.